Cut your potatoes into bite sized pieces, peeling them if you prefer. Place into a large saucepan full of salted water. Bring to the boil and then simmer until the potatoes are cooked. Be careful not to overcook as they will turn to mush. A fork should push through easily but not break apart the potato. Drain and place into a metal bowl. 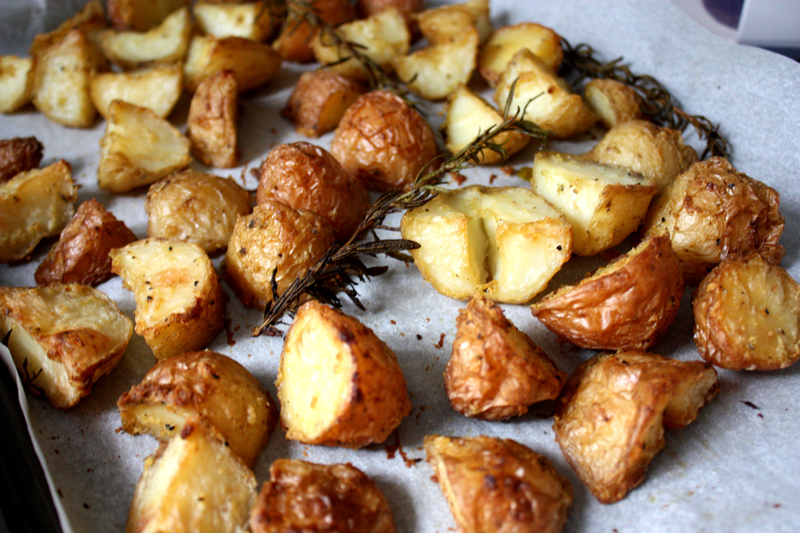 Grate your zest and garlic over the potatoes, add the rosemary stalks. Season and add olive oil. Toss until potatoes are well covered and the edges are roughed up. Turn all the potatoes onto a baking tray lined with non-stick baking paper. Cook in a 180-200c oven for approx an hour or until the potatoes are golden brown.